POMPEY boss Kenny Jackett said he was disappointed not to have one their game against Wycombe. 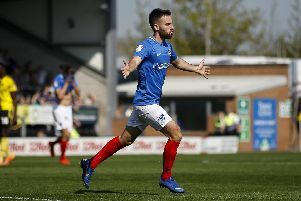 The Blues drew the League One match at Fratton Park after conceding a late penalty. Jackett said: ‘We worked hard to get back in the game and we were 2-1 up at 88 minutes.